Today I woke up excited about my appointment I had with a personal trainer. I “knew” it would be what I’d write about today. And then i received the call saying it was cancelled. Well, what am I supposed to do NOW? What else is a girl supposed to do? She goes shopping!!! I bought these shirts at Target (pronounced tar-jheh) and I can’t wait to wear them to the gym! Especially the Thor shirt when I’m lifting with Chris ! And just because I know you all care deeply about the subject, I also bought super adorable underwear! No siriusly, check these out! 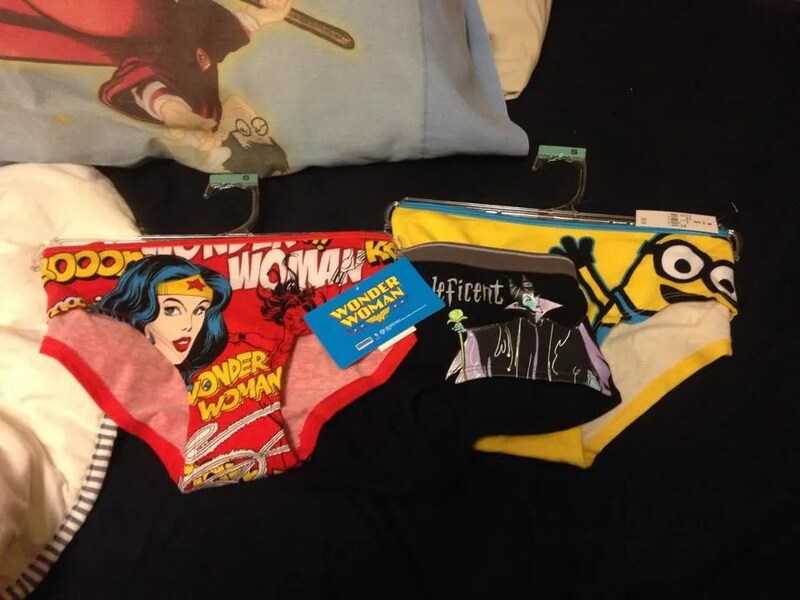 I have MINION underwear!!!! Ok, ok, so what does new clothes (and adorably awesome underwear) have to do with fitness? Everything! My frame of mind wasn’t deterred by my appointment getting cancelled. I still worked out (and PR’d my shoulder press and Back squat to boot). But I had a gap of time to fill and instead of doing something unhealthy, or just laying around the house, I got out and did something great for myself. And the clothes are definitely fitness based! I also got a nice workout shirt that I’m currently wearing for only $6. SCORE! New clothes, new year, new motivation! Did any of you get new workout gear for the new year?